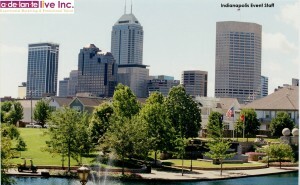 If you are looking for the best Indianapolis event staff, look no further! Let Adelante Live be your one stop resource for event staff and services for your next Indianapolis area event, promotion, demo or tradeshow. experiential marketing campaign. Hire us for all of your Indianapolis event staff needs including recruiting, scheduling and training talent who meet the demographic and psychographic casting requirements of your event and brand. Brand Ambassadors (BA’s) are the face of the brand and are responsible for distributing samples/premiums, delivering the brand message, generating leads, and interacting with consumers. BA’s have strong customer service and sales skills and truly act as a brand advocate. We have a loyal and extensive database of male and female talent in every market nationwide who have multiple years’ experience as Brand Ambassadors. As a valued client, you, too, will have access to this network! A key strength of Adelante Live is pairing brands with the right talent. We provide Brand Ambassadors who specialize in on premise (bars, nightclubs) and off premise (liquor stores, grocery stores) promotions for beer, wine and spirits brands. We represent a wide variety of talent that can represent your unique brand. Our team is well-trained on the execution parameters of each event ensuring that the brand message is delivered while adhering to all related regulations. Let us help you find the right fit for your brand. The management of an event is just as important as finding the right talent to promote your brand. Promotion and event managers have hands-on promotions experience in addition to high-level managerial and communication skills. They will lead and motivate the promo team to work as a cohesive unit to achieve program goals. Managers are also responsible for all event reporting so you have accurate information to measure the success of your event. Our managers are professional and will interact with venue management and client representatives to meet challenges head on and execute a successful event. Street team talent are brand ambassadors who literally work on the street level and flyer, pass out samples or hold signs for a grand opening, major sale, or to drive traffic to the promotion footprint stationed nearby. Let our street teams make an instant impact to passersby both on foot and in cars. An industry tradeshow can be a major opportunity for any business – as long as you draw the right attention to your booth! Tradeshow booth hostesses, narrators, crowd gatherers, and sales specialists represent your company and brand inside the tradeshow environment. Our tradeshow talent will communicate the brand message to tradeshow attendees and can also act as lead generators and assistants to your company’s onsite sales representatives. In-store retail demonstrators work inside big box retailers and liquor, convenience or grocery stores to promote major consumer brands at the point of purchase. Demo talent act as the brands’ live salespeople and are able to educate consumers while encouraging product purchase. We’ve seen a sales lift as high as 5000% when an Adelante Live representatives executed an in-store demonstration! Mobile tour managers and staff are contracted to go on “tour” to various stops across a specific region or the entire country promoting the brand. Often times when the mobile tour executes at an event stop, there is also a need to hire additional locally-based brand ambassadors to assist with the event. We can supply the necessary staff to travel with the tour and also hire local talent in each market to execute your event activation. Event production staff works the setup, maintenance and tear down of an event. Trust us to provide your event set up staff so your onsite representative can focus on other important logistical and client service issues. Whether you need staff with technical skills in lighting and sound or you just need labor help for tent set up or to load and unload premiums from a truck, we can provide this type of talent to make the event day run smoothly. The beauty and cosmetics industry was responsible for close to $37 billion dollars in sales in 2011. This means that promotions and events for every day store brands to luxurious department store labels are on the rise. Use our network of experienced and professional hairstylists, make up artists and licensed cosmetologists and estheticians to represent your skincare, haircare, or cosmetic brand at an upcoming event. Give your consumers mini-makeovers or facials on site! With professional guidance , truly educate the consumer on the best products for their specific needs. In today’s international economy, it is critical for brands to develop multicultural promotional programs. Luckily, we are here to meet your staffing needs with brand ambassadors who are able to communicate to consumers in more than one language. We represents talent of multiple cultures and nationalities who can speak a variety of languages. We have talent who fluently speak such languages as Spanish, Portuguese, Italian, French, Russian, Polish, and Mandarin, just to name a few. An often overlooked segment for many brands is the LGBT market. The buying power of the LGBT community is said to be well over $790 billion. We have a variety of brand ambassadors who identify as LGBT or gay friendly, and have experience working at LGBT events and nightlife venues. Event spokesmodels act as the face and voice of your brand. Use our highly trained professional speakers with acting/performance experience to deliver your message at your next live event, promotion, or tradeshow. Spokesmodels can be very effective in engaging a crowd and driving traffic to your event.